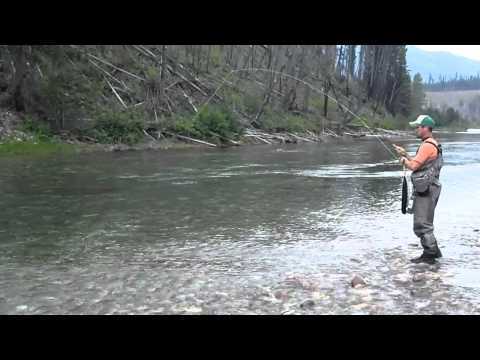 Learn more about The Bob Marshall Wilderness, also known as the "Bob" in Northwestern Montana. The Bob Marshall Wilderness area was designated by Congress in 1964 and has grown through additions to 1.5 million acres. The Bob Marshall Wilderness or the “Bob” includes the Great Bear Wilderness to the north and the Scapegoat Wilderness to the south. The Bob is in Northwestern Montana on both sides of the Continental Divide, and consists of three Wilderness areas: the Great Bear, the Scapegoat, and the Bob Marshall Wilderness. Combined, the Bob Marshall Wilderness Complex is the largest wilderness in Montana, and the third largest in the lower 48. The Bob is home to a diverse group of animals including: grizzly bear, lynx, wolverine, deer, elk, gray wolf, moose, black bear, mountain lion, mountain goat, and mountain sheep. Across this diverse landscape there are over 1700 miles of trails. The Bob was named for Bob Marshall, one of the earlier known advocates for conservation in the country. First came the Bob in 1964 with the passage of the Wilderness Act, making it the oldest of the three wilderness areas composing the complex. It’s the largest of the three, covering 1,063,503 acres on the Flathead (Spotted Bear Ranger District) and Lewis and Clark (Rocky Mountain Ranger District) National Forests. The additions to the Bob Marshall Wilderness was originally protected as the South Fork, Pentagon and Sun River Primitive Areas, which were established in 1931, 1933, and 1934 respectively. In 1978, additional lands were designated in the Birch Creek area. Then in 2014, additional lands were designated along the Rocky Mountain Front bringing the Bob Marshall Wilderness to its current size. The Continental Divide separates the Bob Marshall Wilderness area into the Flathead and Sun River drainages, with elevations ranging from 4,000 feet to more than 9,000 feet. A huge feature named the Chinese Wall, is one of the most spectacular highlights of the landscape, jetting up 1,000 feet in height and stretching 22 miles. East of the Divide, the mountains of the Rocky Mountain Front rise from the plains, with elevations of 2,000 to 8,000 feet, and extend over 60 miles from north to south along the eastern edge of the Wilderness area. On the western border is the Swan Range, and home of Swan Mountain Outfitters. 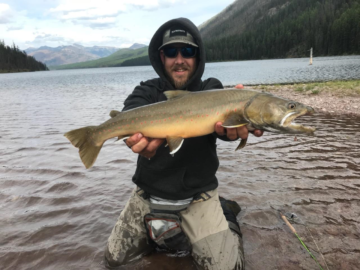 The Bob Marshall Wilderness area is host to the popular Wild and Scenic South Fork of the Flathead River, as well as the many lakes concentrated in the South Fork drainage, including the largest in the Bob, Big Salmon Lake which serves as the headwaters to famed fishery.